Quick Clips of 20 Songs! Scott plays all styles of music. You will find he is a solo pianist beyond the limits of workaday musicianship. From simple, clear melodies to complex, rolling waves of textured harmonies, Scott's music will make your event a cut above the rest. From music of the 60's to the most present-day, he will set a mood that makes your occasion memorable and special. He will help you be the perfect event planner! Scott works for an African-American and an Hispanic church, and also plays for all other religions, cultures and lifestyles. Dallas/Ft.Worth is very diverse! NEW!!! 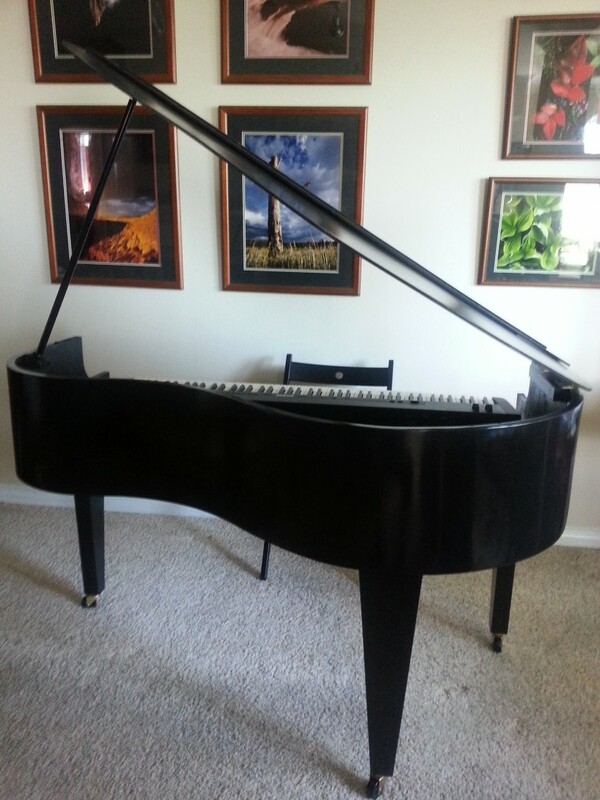 See photos for available Grand Piano for indoor and outdoors events for $150! Also, Wireless Mics and Sound System available. Scott is a true professional and wonderful pianist. His music sounded amazing and everyone at our party enjoyed his playing. He made the welcome reception for our son's wedding more special! Scott is super talented, very focused, and he was essential in creating romantic environment for a special event, and really he was perfect person for the occasion!! Thank you Scott!! He was a great addition to our residential Christmas charity benefit. The guests loved him and his portfolio was great! I loved! I highly recommend it for any event, friendly and professional service. Scott played all the music for our wedding ceremony. He did a wonderful job. We opted to use the grand piano shell that he has. It makes his keyboard look like a baby grand piano. It is incredible and cost effective. I had originally planned to have a Scott play the accompaniment as I walked down the aisle. My vocalist did not show up and Scott saved the day. Played for my husband's birthday party. Was very professional, easy to work with, and great musician! 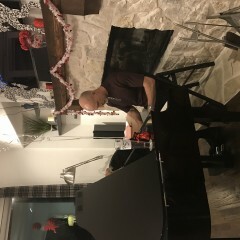 We hired Scott to play some background piano music during my parents' anniversary party held in their home. The music was lovely and added such a nice touch to the event. Scott was so accommodating and pleasant. He really has a large repetoire of music styles he can play. Also, he was able to quickly switch to softer music when the room got more crowded. We were all so impressed with him. He was punctual and professional. I would definitely use him again and highly recommend him to others. An excellent musician without an ego. The music was fun. And Moody Blues on piano was killer. Everyone enjoyed Scott. Scott played at my wedding ceremony May 27th 2017, and it was absolutely beautiful! My husband and I would definitely recommend him for any event. We got so many compliments on how great Scott was. Thank you Scott for adding that extra sparkle to my wedding. We hired Scott to play for a Valentine's dinner party with friends. He was the hit of our party. His music got the whole room up off their feet and dancing. The range of music he can play is amazing. I would recommend him to anyone looking for a superb pianist. Scott was punctual and performed exactly as requested. He provided the perfect amount of mixed music at the appropriate volume coinciding with the number of attendees and the level of their conversations and fluctuations in movement. Outstanding! Would, and will, request his exceptional keyboard skills in the future, and, highly recommend Scott to everyone seeking the same. Scott was great. 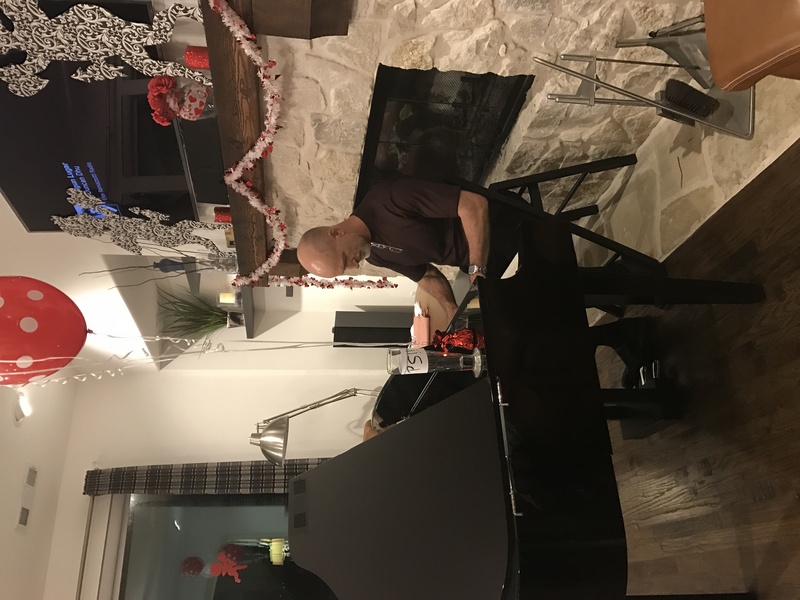 We got lots of comments at our Christmas party about how nice it was to have a piano player. He showed up early , set up and played absolutely beautifully. His piano is gorgeous when he brings it's extra pieces! So happy with his performance and devotion. Played at our wedding Sept. 2016. Scott played at our wedding in Dallas, TX, on Sept 17, 2016, and was excellent. I accepted his bid a few months before the wedding. He arrived early, warmed up, and started the program exactly on time. We had a time when he had to go off the planned program, and didn't miss a beat. Several of the guests mentioned what a good player he was and how they liked the songs. He was easy to work with all the time and was accommodating. He knows a lot of songs. I would hire him again and recommend him. Thank you so much for the great, thorough and detailed review! What a blessing! I hope you have a wonderful honeymoon in Galveston and a blessed marriage for years to come. Great Job! Scott learned the tune and was quite prepared when he arrived. Very professional and knowledgeable. Session work was absolutely solid. Highly recommend. He is such a pleasure to work with. The Irish America Society hired Scott to play for our annual Halloween party. Scott really livened up the party. He played every request that we asked for and had the whole room singing along. Then he played a few Irish old time songs for the sentimental ones. It was a huge success. Everybody wants him back for next year. Thank you Scott. Thank you so much! You have a wonderful family and now new in - laws that seemed nice also. Everyone seemed to be getting along! Funny thinking about My Big Fat Greek Wedding again. Blessings! Thank you so much for the great review! You are awesome! Your husband seems really wonderful also! You guys have a beautiful life together, I hope that as you both grow closer to God you will continue to grow closer to one another. 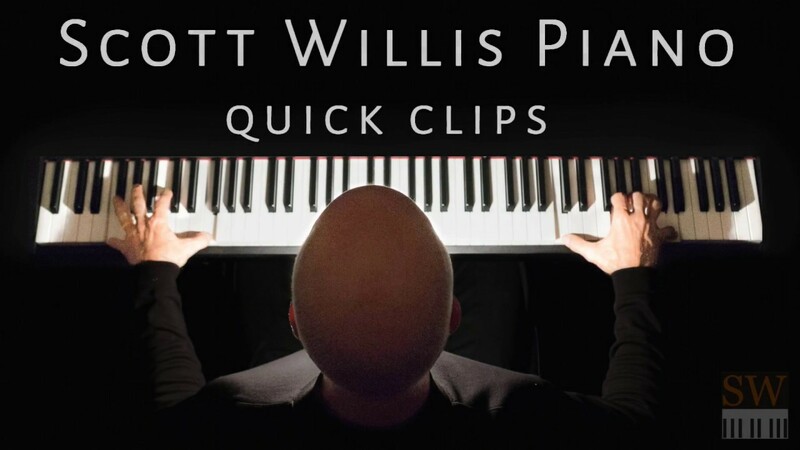 Scott Willis has such talent! He promptly reached out to me within a day of being on GigSalad, and replied back to all my emails and texts prior to my event being held, up till the day of. I had a specific request for French music, as I was hosting a French themed dinner. Scott did his research and brought us wonderful selections. He was on time, set up quickly, interacted with my guests, was very friendly and blended very well with my guests. Everyone loved him! He was a wonderful find on GigSalad, and I am so glad I was able to have him come to my dinner event! Scott's playing was absolutely perfect at our wedding ceremony! Before our big day, he was very communicative with what exactly we wanted and was even very willing to play some songs from several Studio Ghibli movies we wanted to use during the ceremony, which turned out flawless despite only giving him youtube videos for reference. Very accommodating, very professional and sent a sweet congratulations to us after our wedding day. Definitely recommend him! Scott is currently a keyboardist for a mostly African-American church where he has served since 2007. He also plays for an Hispanic church, and even speaks Spanish (albeit slowly!). Scott also plays for all other religions, cultures and lifestyles. Dallas/Ft.Worth is very diverse! Let Scott help you make your party, wedding, cocktail hour, reception, convention, corporate event, funeral, memorial or celebration a success by bringing something beyond the ordinary. You'll find him very easy to work with, and his outgoing personality will make your guests feel welcome and at home. He will help you be the perfect event planner and host! I have an extensive list, and I specialize in tailor-fitting my songs and styles to your event. Just let me know what you might like so that I can come prepared to best suit your needs. I travel with my own piano if needed. It is included in my price. 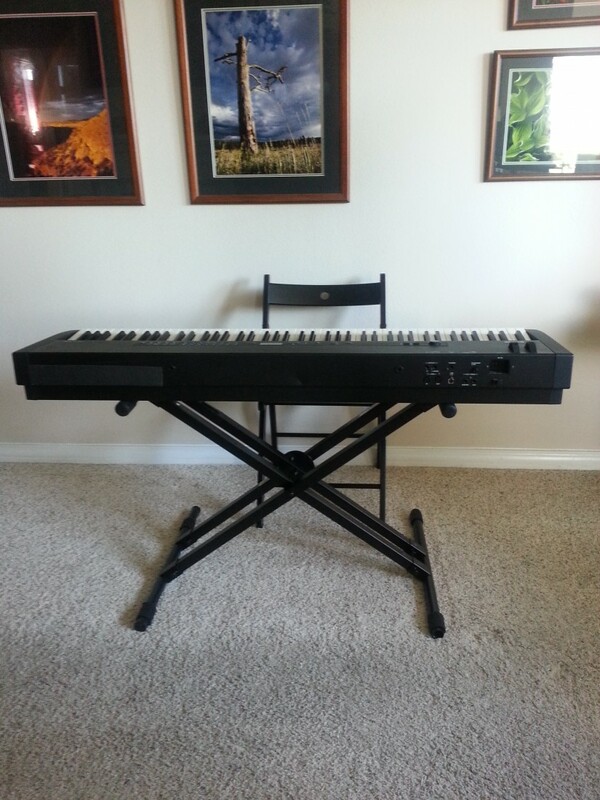 See photos for my optional Grand Piano Shell for $150 (I have to only one available in Dallas Ft. Worth, compare to the standard $1200), an upright stand for $50, and speakers and wireless mics for $25 each.